Michael J. Pikal NIPTE Distinguished Scholar Award in Pharmaceutical Processing – The National Institute for Pharmaceutical Technology & Education, Inc.
Dr. Bogner is Professor of Pharmaceutics in the Department of Pharmaceutical Science at the University of Connecticut where she is also a member of the Institute of Materials Science. She received her B.S. in Pharmacy from Rutgers University, M.S. from the University of Iowa, and Ph.D. from Rutgers University after which she joined the faculty of the University of Connecticut. Dr. Bogner’s research interests are focused on the characterization and dissolution of pharmaceutical solids, both freeze-dried parenterals and oral dosage forms. The amorphous form of drugs and the implications of partially crystalline systems are a more recent interest. Dr. Bogner has a patent and many publications. 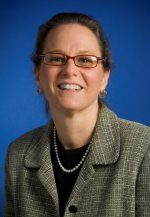 She has served on several editorial boards, a USP committee, an FDA advisory committee and in various leadership roles in the American Association of Pharmaceutical Scientists (AAPS). Dr. Bogner is a Teaching Fellow at the University of Connecticut, and Fellow of the AAPS.